Every year, Christmas seems to come a little earlier around here and every year, I love it more and more! Maybe it’s because my children are teenagers and older, maybe it’s because my focus is more on the HOPE of Christ that the seasons brings or maybe it’s a little of both. Either way, after a hectic and full fall, Christmas in November brings me a sense of peace, a thrill of hope, and the joy of anticipation. 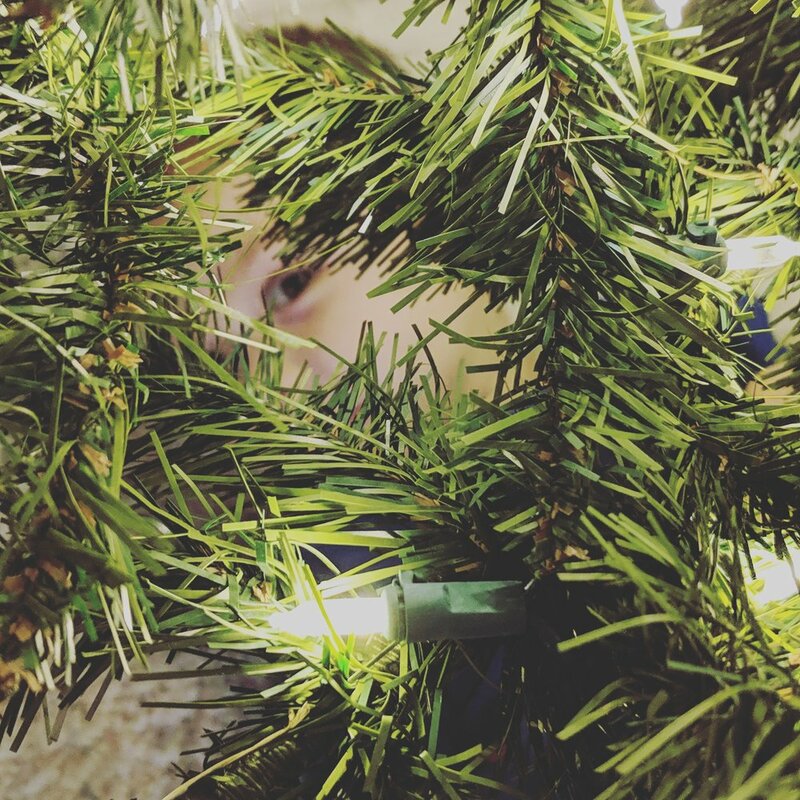 True to form, our Christmas decor isn’t complete as our schedule has pulled us all in different directions and seems to continue to do so, but I’m not totally minding that either. My sweet Oliver has been L O V I N G every little decoration that we’ve brought down. He has spent a great deal of time “decorating” the tree for us (read; 12 ornaments on the same three branches at the bottom of the tree). 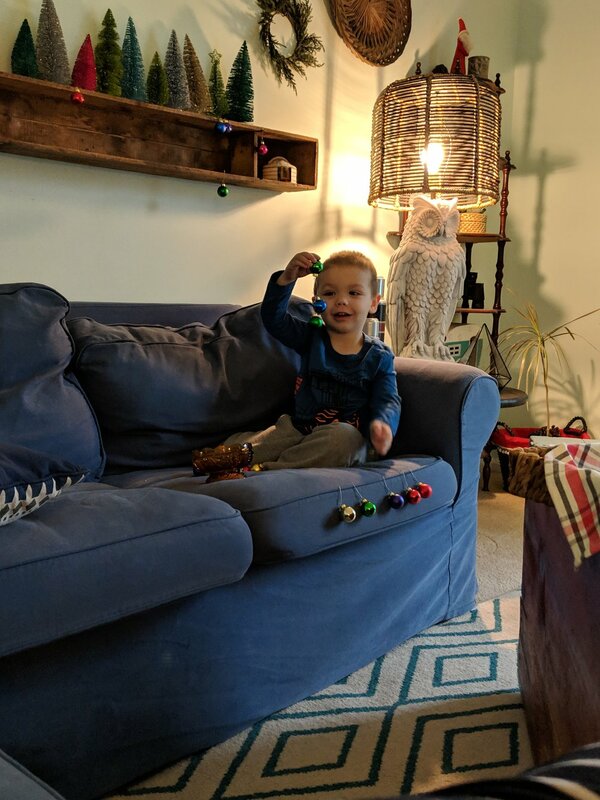 He’s really taken to “working on stuff” under the tree and has incorporated my vintage trucks hauling Christmas trees to his daily hot wheels play time. I can’t even be mad or upset. He’s so dang cute and as long as he’s not hurting anything, it doesn’t hurt anything to let him play. 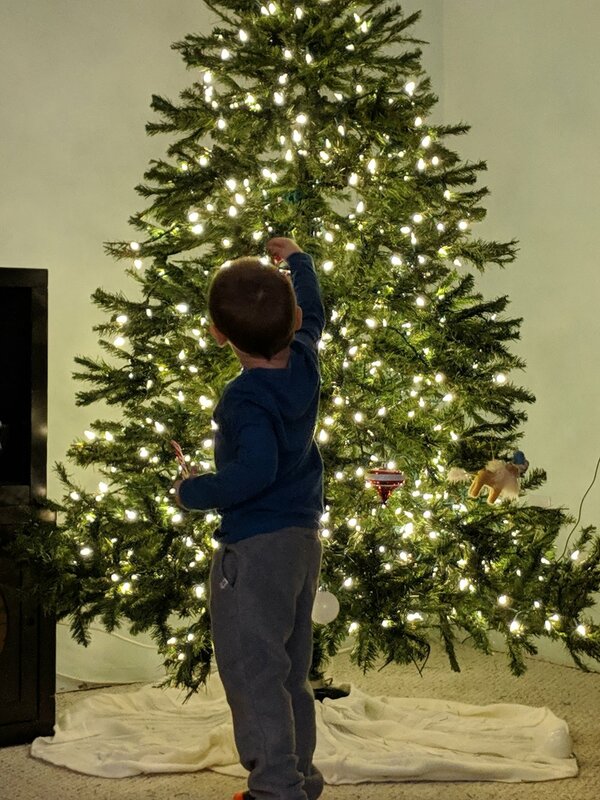 I’m hoping that we’ll get our second tree up and both decorated before Thanksgiving this Thursday, but there’s a high likelihood that won’t happen. Again, I’m not stressing. Normal days have enough stress built in, so why add more. Whatever side of the fence you find yourself on, I hope this finds you embracing the chaos of whatever season you’re in. Life is so short friends, grab it by the horns and enjoy the heck out of it!!!!! The first snow of the season came last week, and with it, the first fire in the fireplace! 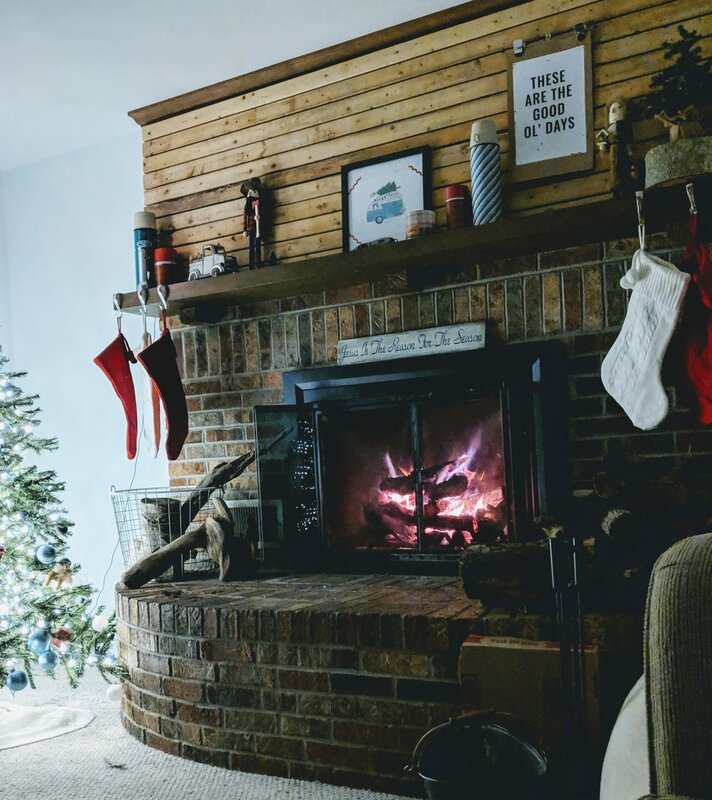 There’s nothing cozier than curling up to glow of the tree and the crackle of the fire while there’s a fresh coat of snow on the ground outside. The snow was gone the next day but the memories of that day and night will last forever. However you celebrate the holidays, I hope that they are full of warmth, joy, laughter and love!! Happy Holidays Friends! !